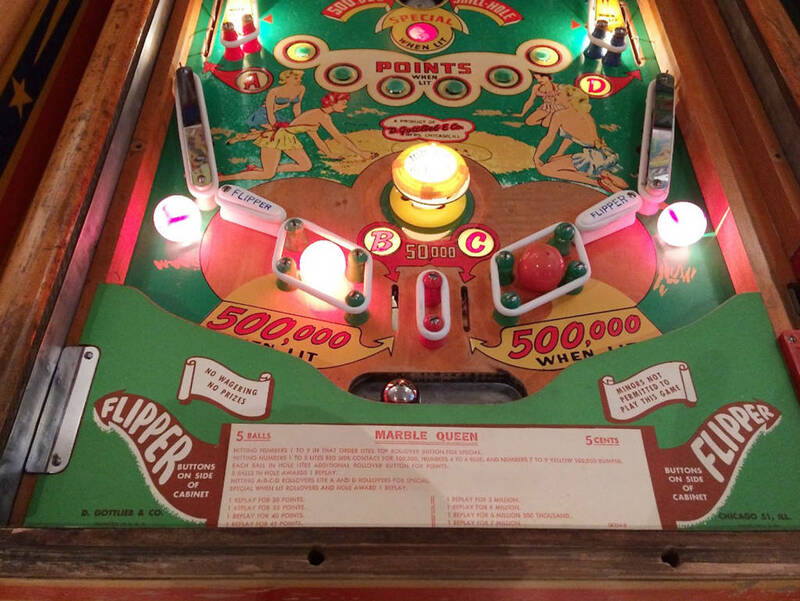 Throughout the decades flipper pinball has existed, numerous designers experimented with innovative concepts, goals, and even how the game itself was played. One of the strangest and unique layout decisions was the use of ‘middle-pop’ designs. There is no formal definition for what is or is not a middle-pop game. At its core the term implies “a pop bumper between the flippers”. 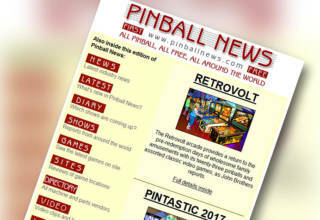 The concept was defined by hobbyists rather than the industry, and the pinball hobbyist community has an entire thread on Pinside dedicated to discussing middle-pop games. The participants in that thread often have differing views on what may or may not constitute a true middle-pop layout. 1. The game must have at least two flippers. a. Be horizontally centered between the lowest two flippers. b. Can occupy a range of vertical positioning, so long as the pop bumper is not so high as to not have at least a portion of the mechanism at the same level as the lowest flippers. c. Be able to reasonably return the ball into the field of play (posts, lane guides, and similar obstructions would disqualify a game from consideration). d. As the name implies, must be an active bumper (passive bumpers do not count). Presently the earliest-known example of a middle-pop game, it is noteworthy that it was made by Marchant, a French manufacturer. Palm Beach features a four-flipper layout with the middle-pop positioned quite close to the lower flippers. Gobble holes are also in the same location, so there appears to be relatively high risk of losing the ball once the middle-pop is in play. 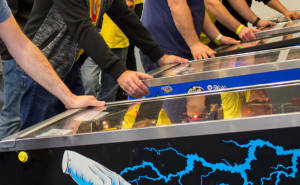 Marchant was a small player in the pinball scene. It is unclear if this design influenced the future middle-pop layouts or if they were developed independently. Regardless, it makes for a fascinating coincidence that the French arrived at the design slightly earlier than the American manufacturers. 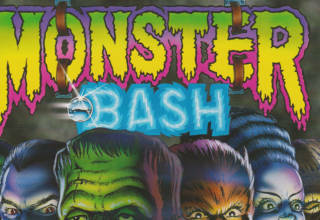 Designed by Wayne Neyens, this was the first (presently known) middle-pop game from an American manufacturer. 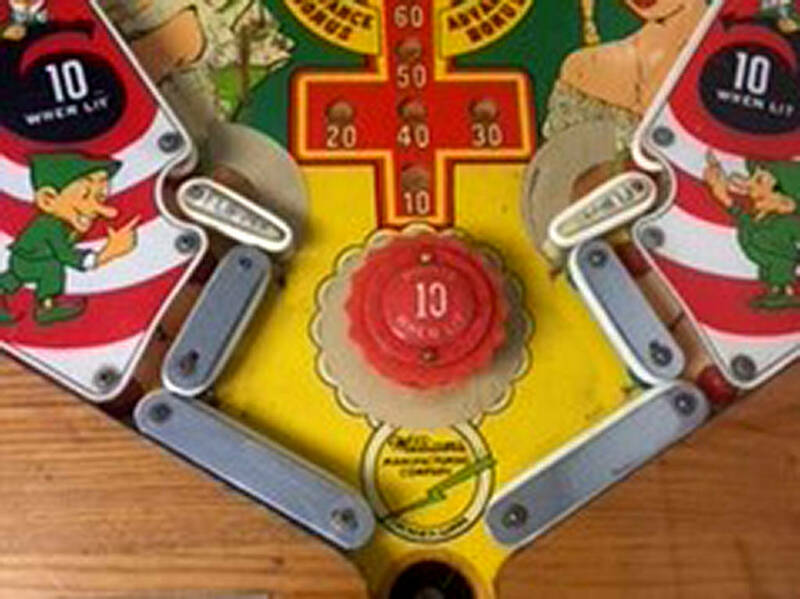 With only two flippers, the lower layout is quite brutal as both flippers exist on the extreme far sides of the playfield with a lot of space between them and the middle-pop. This design clearly attempts to have the middle-pop function as a passing tool. The rest of the lower layout is unforgiving. The middle-pop is designed to feed either flipper, with a large drain space beneath. However, the drain is flanked by kicking rubbers, so those areas readily accommodate getting the ball back into play. Thus, Rose-Bowl appears to use the middle-pop as a passing tool and little else. Another Neyens design, this game essentially reuses the lower playfield layout of Rose-Bowl. All-Star Basketball features some notable changes in the upper-half of the playfield, but as far as the middle-pop is concerned, again it is serving primarily as a passing tool with kicking rubbers flanking it below to help return the ball into play. Harry Williams enters the fray with Majorettes, his first known middle-pop design. His approach is significantly different from Neyens. The middle-pop is actually quite high (the bottom of the pop is essentially in-line with the back of the flippers, which is their highest resting point). Much like All-Star Basketball and Rose-Bowl, Williams placed the flippers at the edges of the playfield. Williams, however, chose to place the rebound rubber very close to the flippers, and thus close to the middle-pop. Overall, this layout seems oriented towards keeping a lot of action going and maintaining a wild style of play. The middle-pop appears useable almost like a third flipper. It remains critical for getting the ball to the flippers, but the situation is not dire should the ball initially miss. There is a high likelihood the ball will bounce back up and hit it again. That said, maintaining control appears extremely challenging due to the proximity of the rebound rubber. Neyens’ design appears to have taken some pointers from Majorettes. Unlike his earlier middle-pop designs, Neyens elevated the middle-pop position quite high, barely keeping it vertically aligned with the flippers. 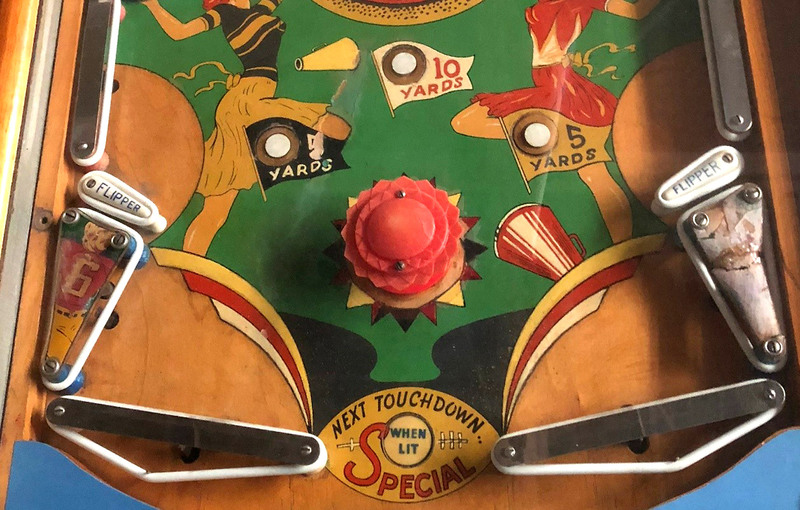 The entire lower playfield now has significant rebound rubber (again, much like Majorettes), making the ball’s survival chances higher but also random and difficult to control. A notable difference between Marble Queen and Majorettes is Marble Queen’s use of a double-lane beneath the middle-pop. The rubbered posts reduce the size of the drain area making this design more forgiving than Majorettes. Harry Williams answered back with Lazy-Q, and mixed things up. This time, Williams dropped the middle-pop quite a bit lower, with the flippers remaining at the extreme edges of the playfield. Williams also created a double-lane beneath the middle pop, much like Marble Queen. However, Williams introduced outlanes as well, which were missing from Marble Queen and Majorettes. Overall, Lazy-Q appears to be somewhat less difficult than Majorettes, mostly due to the double-lane and additional rubber. However, the addition of outlanes makes the gameplay more brutal than Marble Queen. Players are required to stay sharp and properly position the flippers at all times, lest they feed a bad bounce directly down an outlane. The rivalry in middle-pop design continued between Williams and Gottlieb when Neyens mixed things up with Hawaiian Beauty. He narrowed the distance between the flippers and lowered the position of the middle-pop, but not to the degree seen on Lazy-Q. Neyens then made a dramatic change and installed two more pop bumpers beneath the middle-pop. The entire surrounding area was segmented with rubber, and five gaps were installed for the ball to potentially escape. Overall, this ‘clustered middle-pop’ layout generated significant rebound action whenever the ball slipped below the flippers, but also re-introduced a lot of risk in that area. It is the only known middle-pop game which uses more than one pop bumper clustered together. It could be said 1956 was the year of the middle-pop, as a sizable number were produced this year starting in January with Williams’s Tim-Buc-Tu. Overall, it does not deviate substantially from the lower-playfield work on Lazy-Q. The placement of the middle-pop, the use of a double-lane for the center drain, the extreme flipper placements, and the use of outlanes all closely mirror Williams’s prior effort. Produced in March, this Neyens design mixed things up yet again. The middle-pop was moved significantly lower than the flippers, though plenty of open area was left above so that the bumper could bounce the ball back into play. Much like Hawaiian Beauty, Neyens preserved the five gaps in his surrounding rubber placements to permit ball drains, but this time only a single middle-pop exists to bounce the ball around. April saw the release of Neyens’s Derby Day. 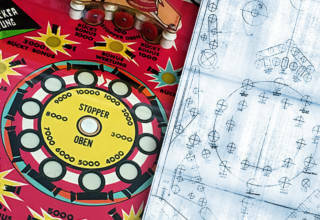 Once again, Neyens made some notable modifications to the lower portion of the playfield. The middle-pop was relocated quite a bit higher than Score-Board. Deviating from his ‘five drain gaps’ in the rebound rubber, Neyens now used three and gave the middle-pop extra rubber placements to mimic slingshots. Both sides were outfitted with double-outlanes to catch the occasional wild horizontal shot from the middle-pop. Shamrock was the next Williams design, released in October. It deviates significantly from his prior middle-pop efforts and appears to borrow from Neyens’s designs. The middle-pop was now beneath the flippers, but only barely so (more along the lines of Derby Day than Score-Board). Williams removed the outlanes and the double-lane drain, while the middle-pop area was fully encased in rubber, either forcing the ball back into play or down the center drain. Produced in December, this is not only the last known middle-pop of 1956 but this Williams design is also the last known middle-pop of the woodrail era. 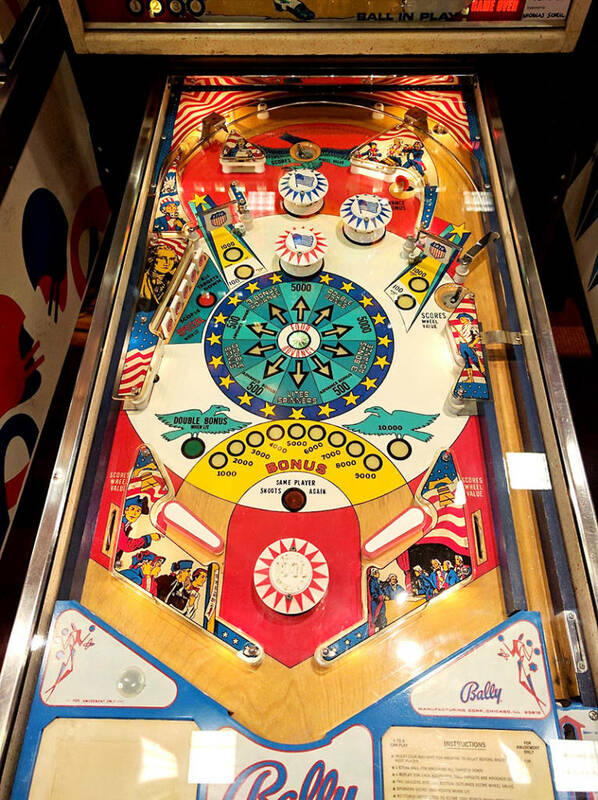 It bares almost no similarity to Shamrock as far as the lower-playfield is concerned. The middle-pop is placed slightly higher and the outlanes remain removed in this design. However, the middle-pop is not surrounded by rubber. Instead, Williams fills the lower section with five outlanes, each with only a small amount of rubber protecting them. Due to these changes, Cue Ball arguably has the most brutal lower playfield of any middle-pop game released in 1956. By 1966, woodrail pinball machines were long out of production and no known middle-pop game had been released for almost a decade. 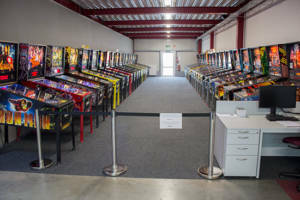 However, a new pinball designer at Williams Manufacturing would soon change the status quo. Norm Clark launched a new middle-pop game in 1966 called 8 Ball. It was a technological marvel for reasons unrelated to the middle-pop. 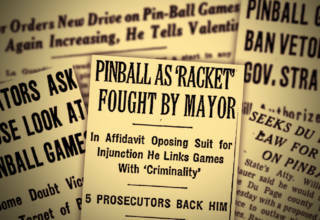 Via the use of multiple step-up units, Clark devised a way to store playfield memory and track pool ball type (solids or stripes) for each player. The backglass displayed each player’s progress, as did lights on the playfield (a uniquely innovative feature at the time). Regarding the middle-pop layout itself, Clark deployed the use of side outlanes but placed them high on the slings away from the flippers. Beneath the middle-pop he placed three outlanes, with notable spacing between, and opened the lower area in a way which the middle-pop could fling a ball down the drain for zero points should the player fail to pay attention. Magic Town is the add-a-ball (AAB) version of Magic City. This article will reference Magic City specifically, since it was produced first (January vs February). 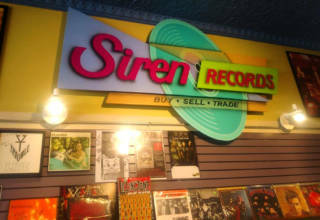 Magic City was Clark’s next middle-pop design, produced in 1967. It was noteworthy for its decorative backglass which was originally designed to have a spinning color wheel behind the fountain (the feature was cut due to cost concerns). 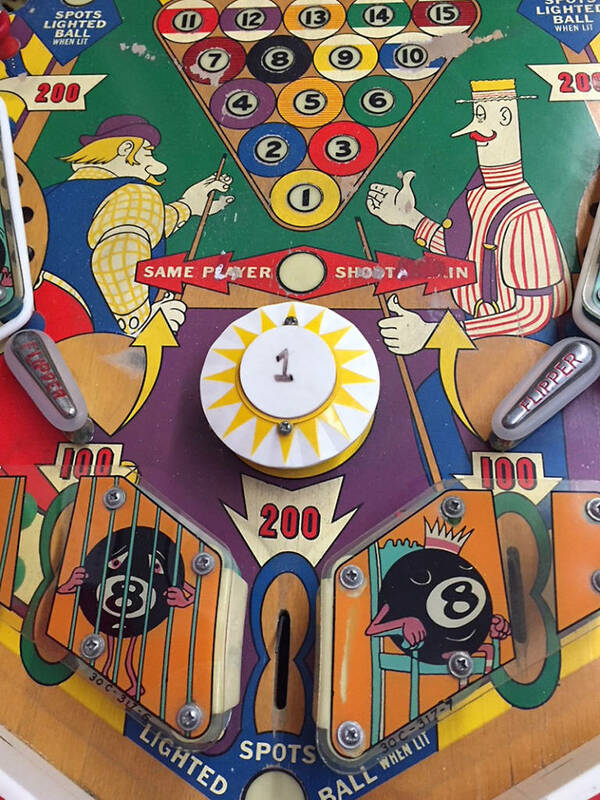 Clark’s design changed nothing as far as the lower playfield was concerned when compared to 8 Ball. It has the same elevated side outlanes, same positioning of the middle-pop and flippers, and same lower triple-outlane with the danger of losing the ball sideways for no points. Miss-O is the replay version of Cue-T (AAB). This article will reference Cue-T specifically, since it was produced first (November 1968 vs February 1969). Cue-T is another Norm Clark design that repeats the same middle-pop layout as 8 Ball and Magic City (identical elevated side outlanes, middle-pop placement, triple-outlanes beneath the middle-pop, and scoreless side drains). 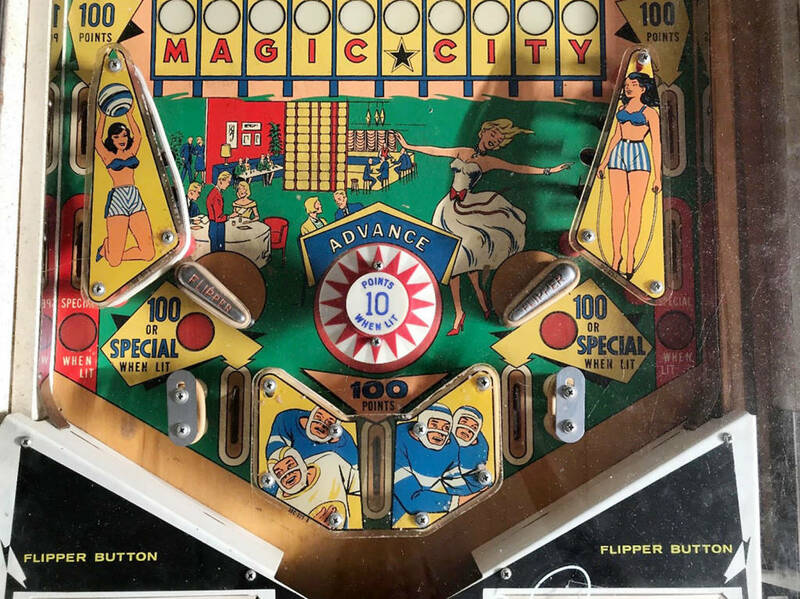 However, the top of the playfield features a few different scoring options and targets, and the special lights were relocated to the top of the outlanes rather than bottom (like Magic City). This Clark design represents a pivotal moment in the evolution of middle-pop gameplay. By 1972 the 3-inch flipper had displaced the use of 2-inch flippers. To accommodate this change, Norm Clark significantly reworked his middle-pop design to introduce a dramatically new and appealing geometry. Spanish Eyes features a fully-enclosed middle-pop that operates on a high-power DC rectified coil. The ball can either bounce back into play or drain below. Rebound rubber is closely placed and thus rebounds occur at high speeds. The combination of the rebound rubber, high-power coil, and the middle-pop location result in Spanish Eyes being the fastest known middle-pop game ever created. As an interesting aside, the add-a-ball version of Spanish Eyes (named Granada) has an entirely different layout with no middle-pop. Spanish Eyes was also produced by Segasa, in which the layout remained the same but with different artwork on the plastics, backglass, and cabinet. Shortly after Spanish Eyes, Clark’s design for Fan-Tas-Tic was produced. Fan-Tas-Tic was a four-player game (Spanish Eyes was a single-player) and featured a similar middle-pop geometry, but with a couple of adjustments. One change was the lower posts were moved outward slightly, which expanded the middle-pop rebound zone and slowed it down. The other change was the angling of two side posts downward. Both of these changes reduced the number of middle-pop rebounds and increased the likelihood the ball would bounce down the drain. 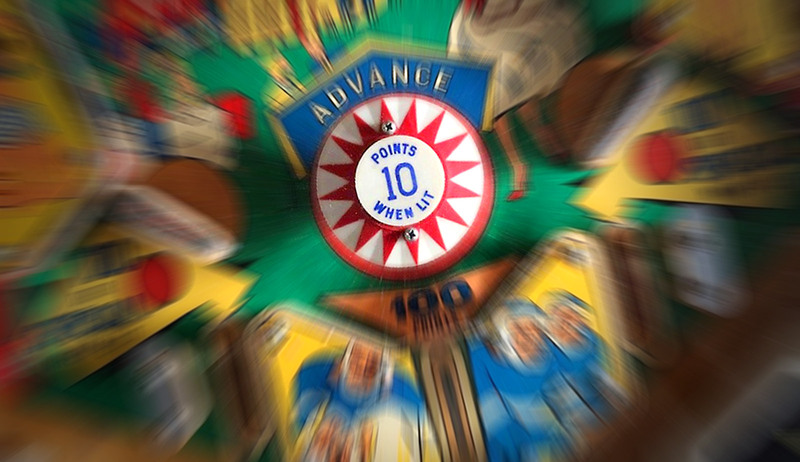 Fan-Tas-Tic features a roulette-wheel award spinner, similar to 1966’s A-Go-Go (a game Clark designed and the roulette feature he invented). Earning bonus points on Fan-Tas-Tic can be wildly random, as the only way to score them is to land on a bonus/double bonus/or triple bonus spot on the wheel. Otherwise, if the ball drains, no bonus is earned. Other spaces on the wheel can advance the bonus to maximum and/or earn an extra ball. A recommended tweak to make the middle-pop area less stingy is to drill new holes for the side posts to vertically align them, as with Spanish Eyes. Also, the flipper coils can be upgraded with FL-20 300/28-400 coils for more pep if desired (these are the same coils used on later Williams EM games like Aztec and Rancho). By 1976, Norm Clark had left Williams to work for Bally as the head of their pinball design division. 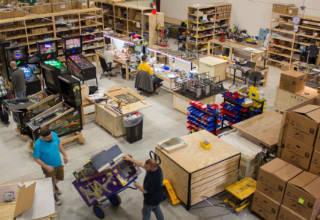 During this time, Bally was readying their new electronic pinball control system which would commercially debut with their next game, Freedom. The design history of Freedom is somewhat murky. Current information suggests Freedom was a collaborative effort between George Christian and Norm Clark, with Clark providing most of the guidance. Based upon the similarity of the geometry from previous designs, Freedom appears to be predominantly Clark’s work who likely used it as a basis for teaching. Originally, Freedom was designed to be a middle-pop game, using Clark’s Spanish Eyes/Fan-Tas-Tic lower layout combined with spinners and drop targets. However, after roughly 100 of the prototypes were built (the exact number isn’t known), European distributors objected to the middle-pop format and requested it be changed to a standard inlane/outlane arrangement for production. Freedom was an important transition game. 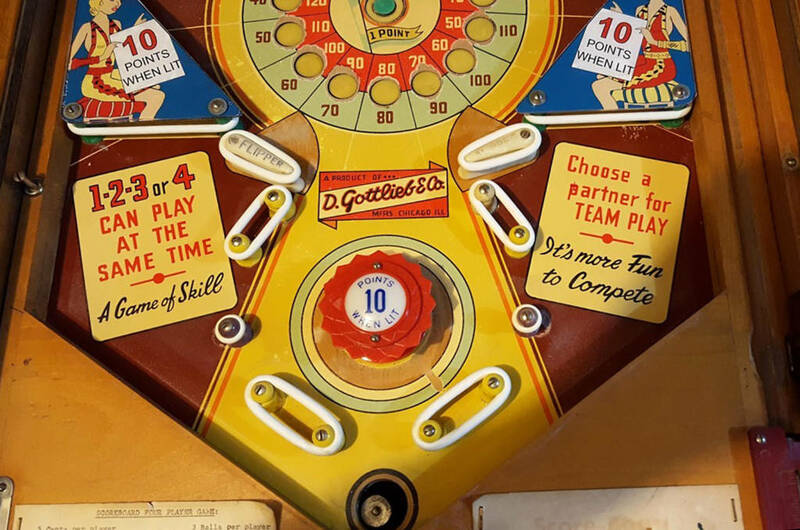 It was Bally’s first commercially-produced solid-state pinball machine and marked the end of the electro-mechanical era. 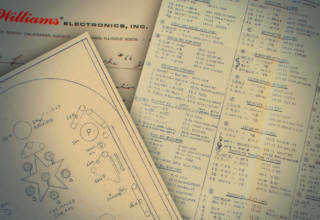 Both electro-mechanical (EM) and solid-state (SS) versions of Freedom were made, but all of the known middle-pop prototypes were of the EM variety. After Freedom, no further middle-pop games were designed by Norm Clark. During one of his last interviews he stated one of his favorite design twists was “putting a pop bumper between the flippers”. 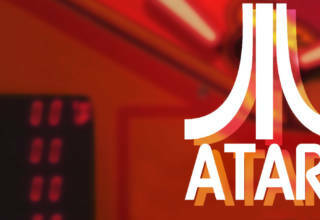 Of his many innovations, middle-pop games were perhaps his most signature effort. Clark deserves credit for re-introducing the format after the woodrail era and evolving the middle-pop design to its most advanced level yet seen. Sega Enterprises is a lesser-known pinball manufacturer which targeted the Japanese market in the 1970s. 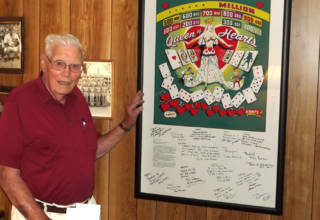 Millionaire is the one known example of a SS-era game produced with a middle-pop. Although the game uses 3-inch flippers, the middle-pop area resembles the types of layouts more commonly found in Norm Clark’s older 2-inch middle-pop designs. Millionaire features a lower middle-pop with shallow side outlane entrances. Millionaire has three outlanes beneath the middle-pop and the ability for the middle-pop to fling the ball sideways and drain without scoring. 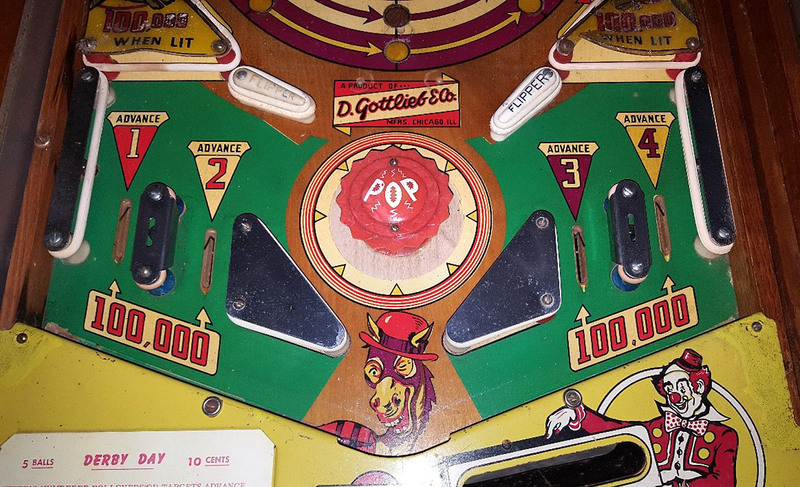 By the late 1970s, all pinball manufacturers had abandoned production of middle-pop games. 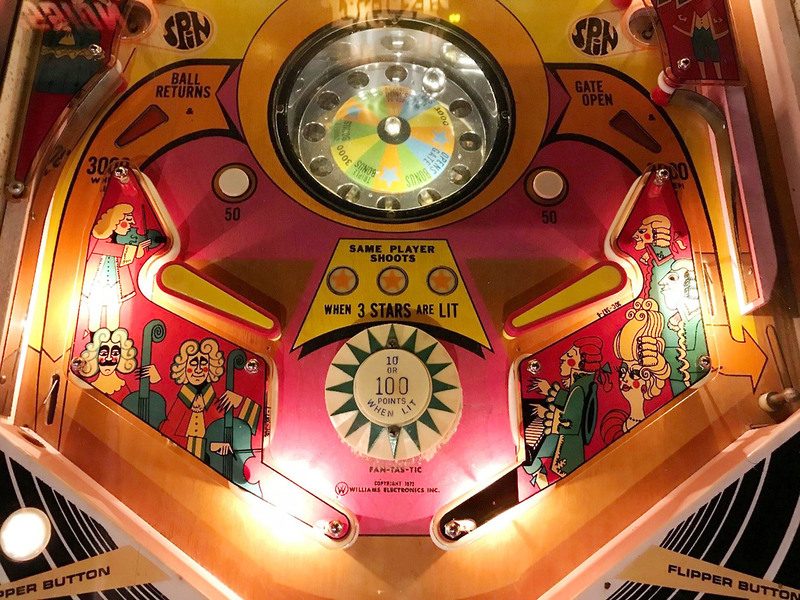 While the middle-pop design was never particularly popular (consider how many pinball machines were produced in all the years covered here, and how few made the list), what was an occasionally quirky but accepted concept disappeared. 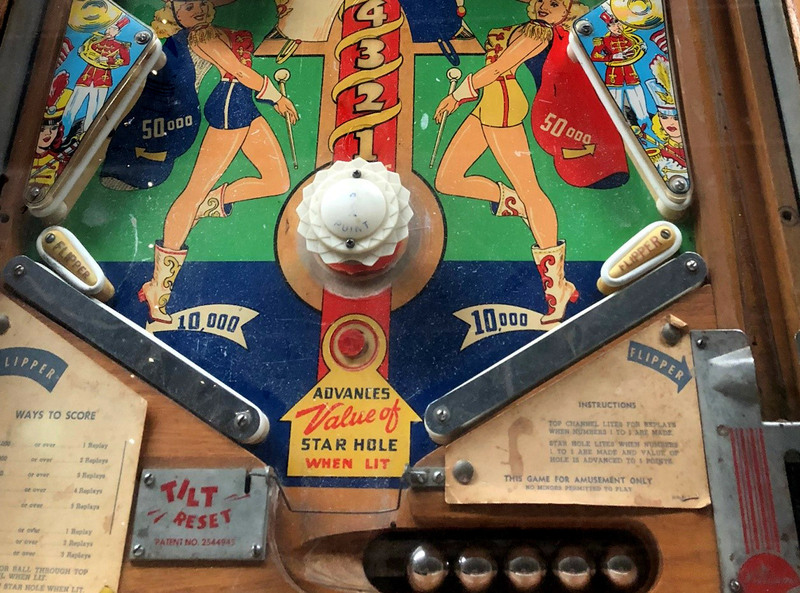 As the evolution of pinball continued, the expectations for predictable ball control, higher speeds, ramps, and familiar flipper and outlane placements changed the game and pushed middle-pop layouts out of favor. 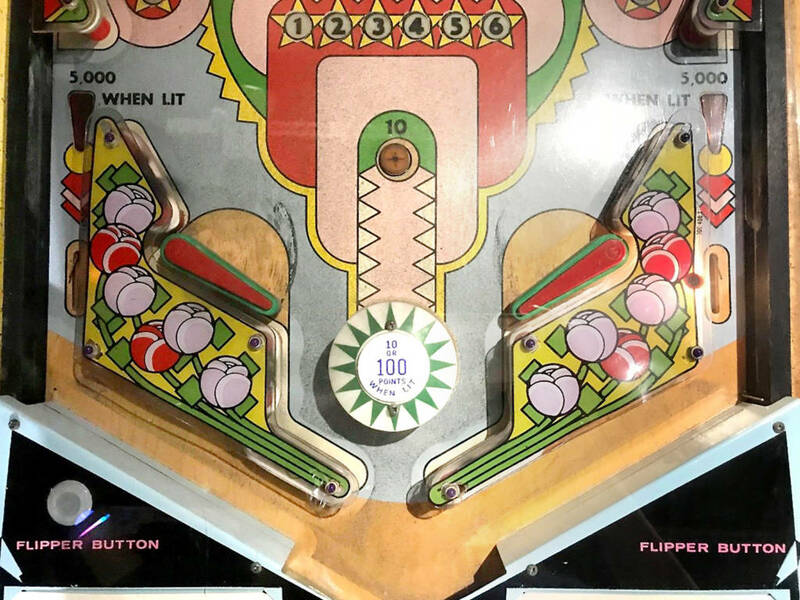 Perhaps someday the pinball industry will return to experimenting with creative new flipper layouts so that players might enjoy more middle-pop games. Certainly, for those who want a wild ball, an opportunity to learn new skills, and an interesting way to use the space between the flippers, middle-pops still stand alone and continue to surprise new players who find them. The author extends his thanks to Nic Schell, of the Roanoke Pinball Museum, for his vast assistance in researching these middle-pop games, his aid in reviewing and editing this article, and his decision to push the author into actually writing it. The author also thanks all the participants in the Join the middle-pop club! thread on Pinside, whose contributions and discussions have signified hundreds of hours of research and made this article possible. 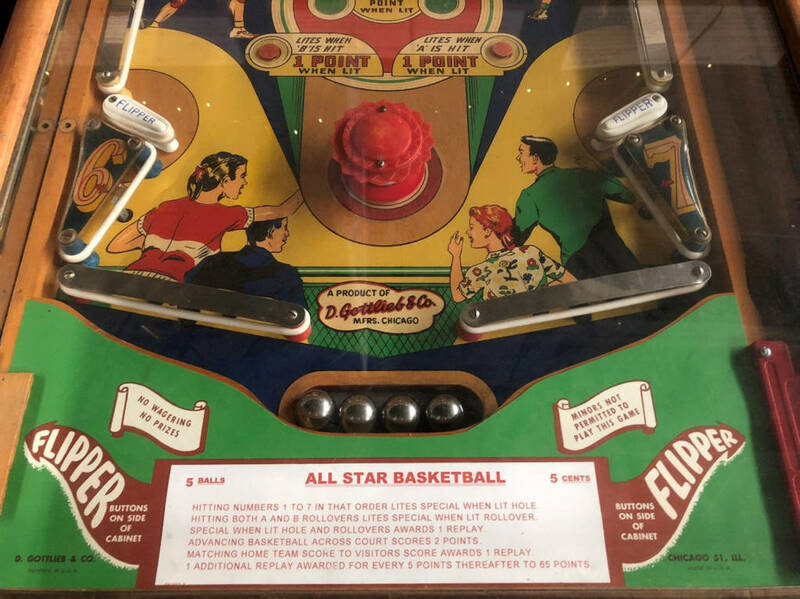 In the spirit of keeping all serious examinations of game play and features accurate, having owned and played both Gottlieb’s Rose-Bowl and All-Star Basketball, the nearly horizontal rubbers below the pop bumper on both games are kicking rubbers not stretched rubbers. Consequently, a great deal of action and return to above flipper play results from rebounds off of them. In any event, thanks for sharing an interesting article on a seldom discussed topic. Thanks for the correction! I’ve revised the language and Martin has already updated the article to reflect those kicking rubbers. Looking closely at the images I can make those parts out. Apologies for not noticing them beforehand! 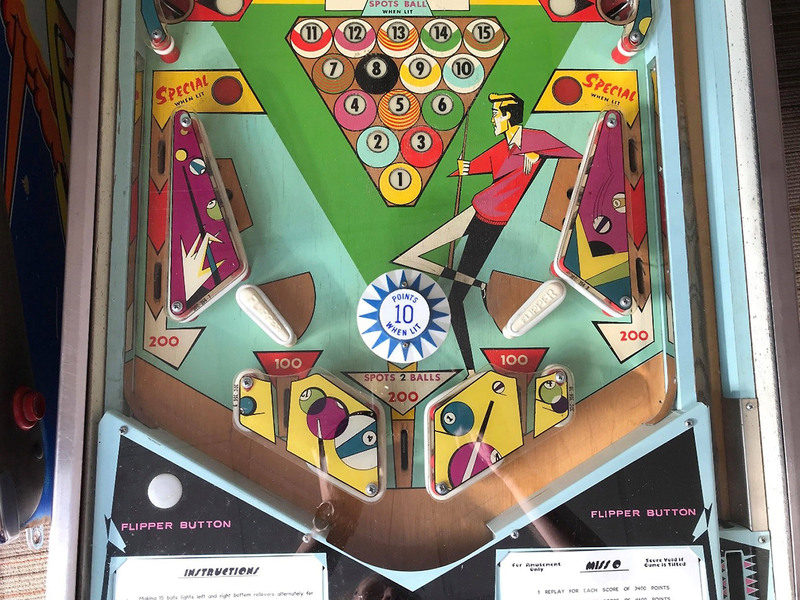 Another little know ‘middle pop pinball’ was Gottlieb’s “Wizard” (1971), italian add-a-ball version of “Magic Wizard” (which I suppose featured a middle pop too). It was a game never mass produced, but being made for Italy only, even 10 or little more sample games aren’t few if sent in a single country; I was able to track down two of them. 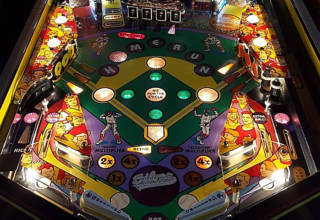 A playfield photo of it can be found on the IPDB (https://www.ipdb.org/showpic.pl?id=2802&picno=8792). As a bumper between the flipper wasn’t a favourite for italian players, these sample games proved to be a total failure. Interesting enough, one italian manufacturer of the time, usually producing exact copies of Gottlieb’s games, made a copy of “Wizard” too, which was quite a success at the time; it was named “(The Best) Wizard”. 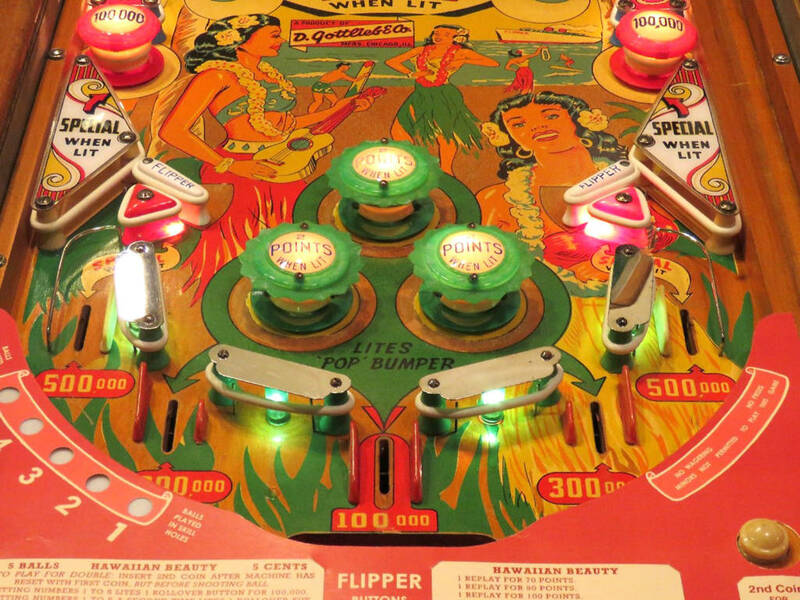 Same exact graphics on backglass and playfield, only they removed the bumper between the two flippers, redesigning the whole low playfield section, substituting it with two more commons ‘italian return lanes’ and slingshots.